Being stranded on a remote island has never been so entertaining! After a shipwreck, your main goal is survival, although getting off the island would be great too. But first you must step up and become the leader of the castaways to prevent chaos and ensure everyone’s well-being. Build a fish farm to catch eels, a quail farm to cultivate poultry and a crab farm to trap shellfish. Also, create a clay pit and a liana farm to source the building materials needed for shelters. Track down rare plants for your magic potions, and be mindful about protection while exploring the island.But it’s not just about keeping safe, dry and well-fed. To escape the island and return home, you must decipher bizarre markings on the ground, collect ancient statues, kill a crab monster and unravel this mysterious island’s dark secrets! Good luck! 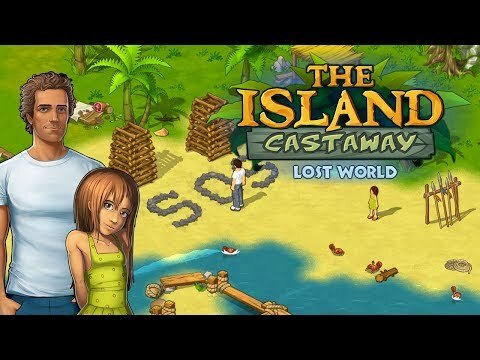 The Island Castaway: Lost World® © 2015 - 2019 SAMPAD®, Awem Games®, G5 Entertainment AB.